You know when the world swirls – Where Is My Teaspoon? Another week at work over – yayyayayayay. Some weeks just go painfully slow and this was one of them! It’s a bank holiday weekend here in England so we (me and my favourite person) are going to try and explore Cambridge a bit more. Hopefully the weather will be nice and we can go punting or at least walk around the back of the universities, it’s pretty. I’ll post photos! 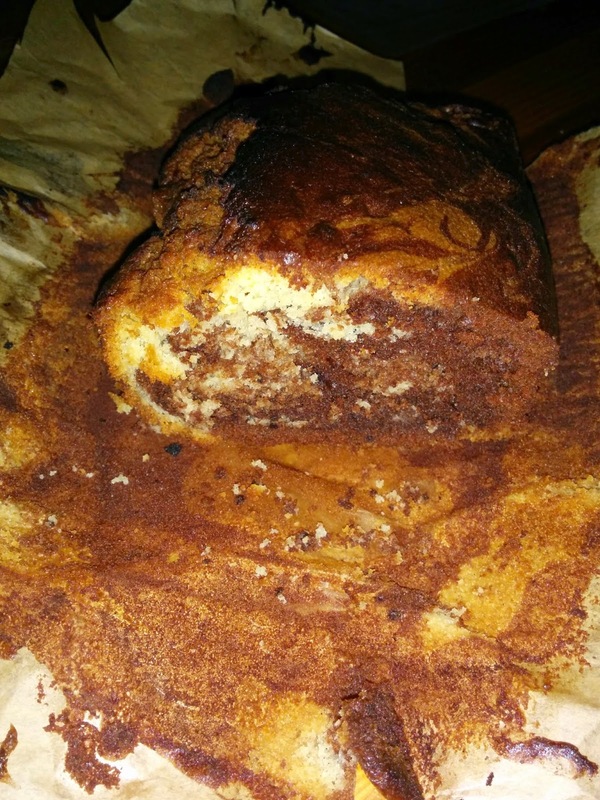 Anyway, last week I baked a Chocolate and Vanilla Marble cake and brought it along to work. Once again, it is loaf shape. I might bake something in a different shape this weekend. How wild am I? You guessed it! Preheat that oven to 190 and line up your trust 2lb loaf tin. I know I’ve begun quite the love affair with this tin, £4 well spent if you ask me. Cream your butter and sugar together until light and fluffy. Little tip for you, definitely take your butter out at breakfast time if you’re going to bake in the afternoon. Baking with butter straight from the fridge ruins everything, it just takes the joy away and makes it a massive job. Slit your vanilla pod in half and scrap it out. Add this to your butter mix along with the eggs and beat. Now, add your flour and baking powder. Mix. Get yourself another bowl and tip half of your cake mixture in. Boil the kettle and mix the 3 tbsp boiling water in with your cocoa powder until you make a paste. Add this to one half of your cake mixture and mix until fully combined. This is your chocolate side. 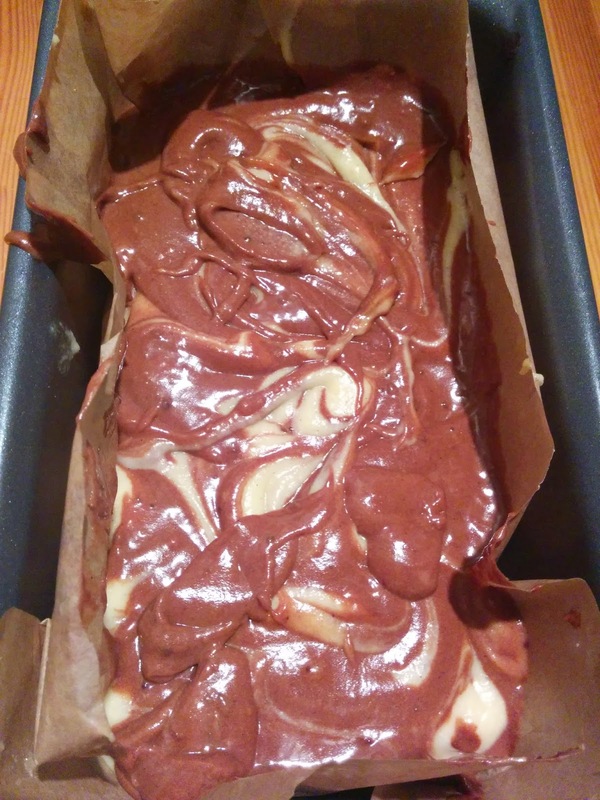 In order to structure the cake, you need to spoon one spoon of vanilla into the cake tin, followed by one spoon of chocolate. Do this over and over until you have none left. Once your cake tin is full, grab a knife or a skewer and use it to mix the two flavours together. Don’t over mix though, if you do you won’t get any ripple. It’s important to have big bits of vanilla and big of chocolate so you notice the difference. Bake the cake for 50 minutes and then check it. It can burn easily! If you think it needs longer, put a tin foil hat on it and keep an eye out.